The 2018 Aprilia SR 150 Race And SR 150 Carbon special edition models bring new paint schemes for a refreshed look this festive season on the scooter. 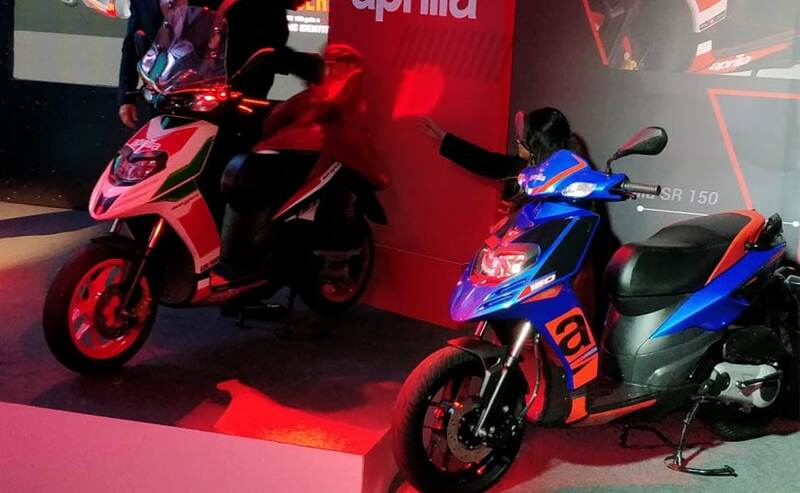 Piaggio India has unveiled the 2019 Aprilia SR 150 and prices for the scooter start from ₹ 70,031 (ex-showroom Delhi). The SR 150 Carbon is priced at 73,500 while the SR150 Race costs ₹ 80,211. The SR 150 receives updates in the form of new paint options and a few feature upgrades as well for a refreshed look on the performance-oriented scooter. Interestingly, both the versions were first unveiled at the Auto Expo earlier this year. The Aprilia SR 150 has always had an extremely likeable design and now comes with adjustable shock absorbers, new windshield and a semi-digital console. The 2019 Aprilia SR 150 Race now gets the bright new colour scheme inspired by the Italian flag. The bike is now painted in red, white and green. The alloy wheels are finished in black on both models. In addition, Piaggio has also introduced a new blue shade on the 150 cc scooter. The scooter continues with the same engine on the 2018 edition as well with power coming from the 154.8 cc single-cylinder, air-cooled engine that produces 10.4 bhp and 11.4 Nm of peak torque. The motor is paired with a CVT unit. The bike is suspended by telescopic forks up front and a hydraulic shock absorber at the rear. Braking performance comes from a single-disc at the front and a drum brake set-up at the rear. The SR 150 does not sport ABS just yet, but will be eligible to get the safety feature once the norms are mandatory in April next year. 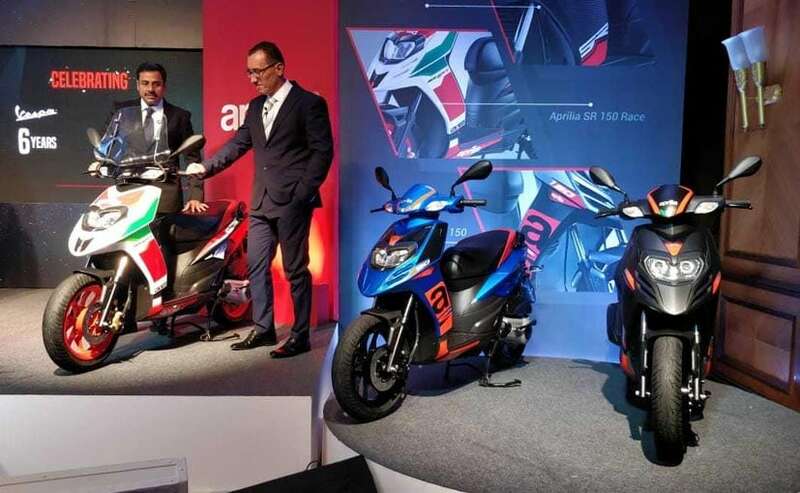 The Aprilia SR 150 does not have a direct rival in the segment but for its price, it does lock horns with the Suzuki Burgman Street, TVS NTorq 125 and the Vespa SXL 150.